"If satan can't make you bad, he will make you busy." It took a minute for those words to really sink in for me. Busy? Everyone is busy. But should we be? My priorities have shifted in the last year of blogging and I've come to realize they are misaligned. When did making an extra dollar become more important than spending 5 minutes with my kids? I have found myself absent-mindedly nodding at them from behind my phone when they say "mommy look! ", just trying to show me their latest trick. I get frustrated when I have to leave a half-written blog post for the 12th time to get someone another glass of milk. I find myself longing for a time when they'll be bigger so I can "just get something done" instead of embracing the season of life that we're in and just enjoying the fleeting moments. 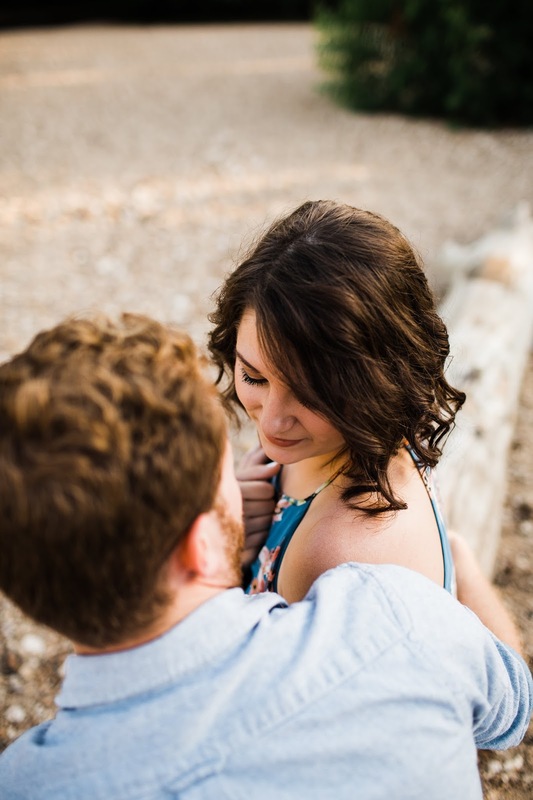 There are nights when I am up until 1:00 am scrambling to finish a blog post when all I really want to do is snuggle up to my husband and talk to him about our day. Preston works late most nights, so our evenings usually consist of a hasty dinner and an episode of something on Netflix while I catch up on social media before we shuffle off to bed without much ceremony. When I started this blog, it was a hobby. I was pregnant and about to quit my day job to become a full-time stay at home parent. But over the past year, this blog has become more of a job in and of itself, and while I'm incredibly grateful for the opportunities I've had, I feel God calling me to take a step back and reevaluate the direction this little blog is headed. I've let myself become so absorbed in the networking and promoting side of blogging, that I have put the things that are most important in life on the back burner more often than not. 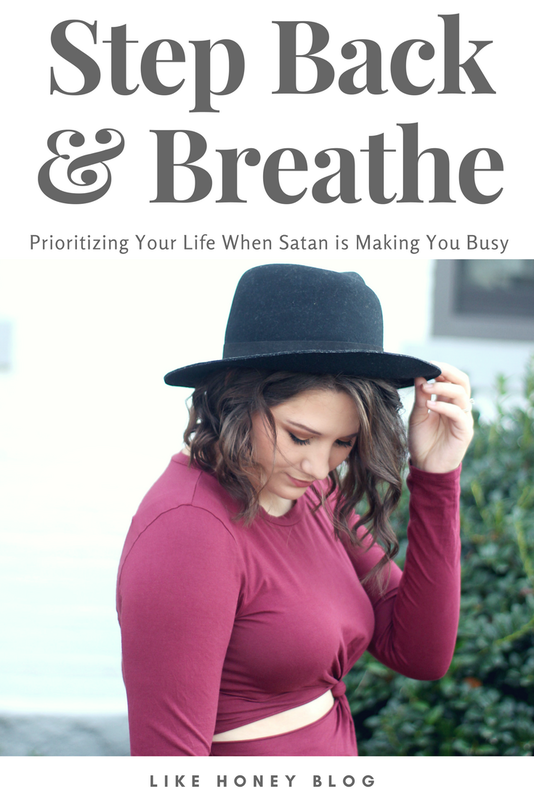 Stressful is not at all what I wanted this blog to become for me. Busy is not the kind of mom I want to be. So I am going to take a little blogging break. I need to step back, breathe, and hopefully dive back into this in the coming months with a whole new outlook. I want to use Like Honey as a platform to inspire others, create (more!) genuine friendships, and share my passions with the world. Page views and followers should not get in the way of me enjoying my family, my friends, or my craft and I'm excited to see what God has planned for me during this little reprieve. Thank you all for supporting Like Honey all this time! I can't wait to be back on my little corner of the web with lots of new content to share with y'all! Oh mama! I needed that today <3 Beautifully written. This is so true for me too. I've scaled down and have even considered stepping back all together. I have to remember to keep blogging my hobby and not let it consume me, those moments with family are much more important. Thank you for sharing! I love this and can relate 100%. I too have been trying to step back a little and stop focusing on the numbers and social media. I’d hate to think that my kids thought I was too busy for them.